Our Youthful Talent Needs Your Help! 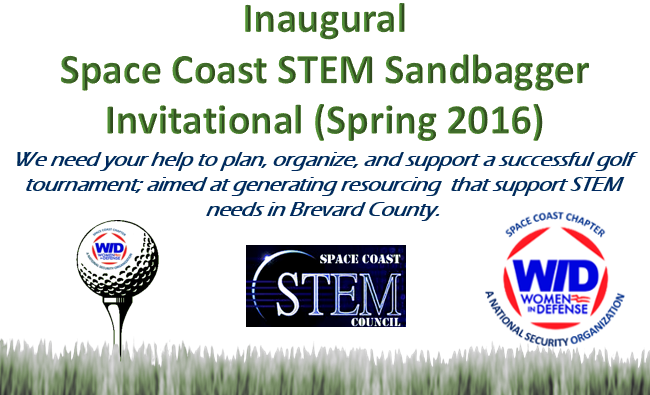 We need your time and expertise to plan, organize and hold a golf tournament to raise funds for our STEM programs (our goal is to raise at least $6,000). We are need to select the venue and date (late Feb – early Mar). 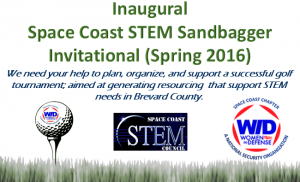 Our aim is to support Brevard County STEM needs including: Support to educators – internships, stipends, advance training, special classroom projects – working with the Brevard Schools Foundation. Support to Youthful Talent – help fund robotic programs, resource to support class field trips (IT/SEC, Space Week, and similar events). Support STEM Innovation – Cura Oceanus Autonomous Underwater Vehicle project – Inspire students by bringing real life engineering and science experience (RiverBot), or similar program. Support our youth through scholarship awards and by holding two special programs or presentations focused on enhancing STEM awareness. Sponsorships: help define sponsorship level, price, and sponsor benefits. Prepare Sponsorship letter detailing the event – Help us find enough sponsors to generate at least $6,000. Help with Event Planning. Seek donations for giveaways/raffle – Prepare Swag Bags for participants (ideas) – Arrange Food and Beverages. Suggest unique activities to make this Tournament Special. Robot putting competition – Other STEM related demonstrations. Help us with Marketing and Advertising. 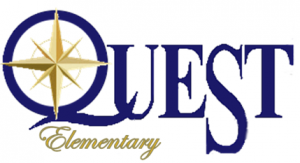 Quest Elementary School is having a STEM night, 4 Dec from 6-8 pm and they are soliciting volunteers to not only man their STEM booths, but are looking for STEM ideas! They will have 12 booths that are catered to the STEM fundamentals; Science • Technology • Engineering • Math. These booths will need to address elementary school-aged children from Kindergarten to sixth grade. If you can lend a hand, please contact Mandi Fuller or send us a note. The Titusville Girl Scout STEM mentor is looking for sponsors and support for their newly formed FIRST® Tech Challenge team. The team is part of the newly formed FTC® Space Coast League and will participate in the “Whoville Qualifying Tournament” that will take place on December 5, 2015 at the St. Teresa Catholic Church/School. It costs about $6,000 each year to compete in FTC events. Students in grades 7-12, guided by adult mentors, design, build, and program their robots to compete in an alliance format against other teams. These events teach real-world engineering, software programming, manufacturing, and teamwork, This year we helped place the team in a 2200 sq. ft. facility thank to the generous donation of Spiegel Leasing Co. Want to help–drop us a line! The goal of this project is to develop an ROV that students can use to deploy sensors in the Indian River Lagoon: students apply real-life engineering and scientific experimentation by exploring this delicate ecosystem. We need help obtaining the following items to complete our ROV. Teledyne, Explorer Doppler Velocity Log (DVL) to enable shallow-water navigation of the ROV. SBG Systems: Ellipse N, with the SDK; MEMS-based Inertial Measurement Unit, integrating three gyroscopes, three accelerometers, and three magnetometers. The foundation has a need for a mobile classroom. 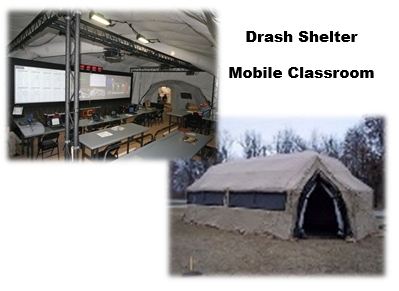 A Drash structure or similar (used or new) would really help. The ROV will be deployed near a waterway; having a mobile classroom will allow students to setup class where the ROV is deployed and be able to learn near the deployed site. If you can help please contact the foundation-Click Here. 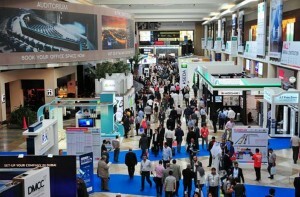 Over the years, thousands of Central Florida high school students have participated in a unique learning experience by visiting the Exhibit Hall during I/ITSEC. The purpose of the I/ITSEC Student Tours is to allow students to experience first-hand, real-world Training, Simulation and Education solutions that will help bridge the gap between classroom theory and the applied used of Science, Technology, Engineering and Math (STEM) subjects. 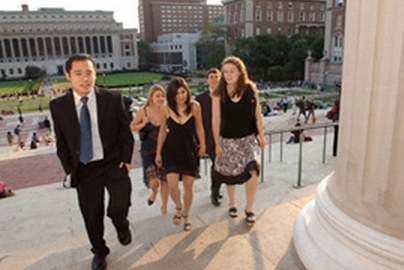 Want to chaperon students or help fund the class trip to I/ITSEC–let us know? Each summer, we look for opportunities to help our STEM Teachers and Academy Directors enhance their understanding of STEM by providing opportunities to gain real-world experiences and advanced technical instruction. We can lend a hand by sponsoring STEM events over the summer break, giving our teachers new found knowledge that can be brought into the classroom. We are working hard to raise funds for Teacher Stipends, identifying business that might hire a teacher over the summer, and by presenting STEM symposiums. The Space Coast STEM Council is charted with helping connect the dots between STEM needs and STEM resources to support STEM activities on the Space Coast of Florida.